Dubai, UAE, March 07, 2018: Mother’s Day is fast approaching and if you are wondering what to give to the woman who already has it all? The answer is extra pampering, of course! This Mother’s Day, consider beauty gifts such as luxury skin and hair care, glam make-up and classic perfumes. We’ve rounded up some of the best picks that will truly allow every mother to indulge! Filorga: Your mother is sure to thank you for this lovely addition to her skincare tray! Filorga’s highly effective anti-aging products are available for purchase at leading pharmacies across the GCC including Bin Sina, Boots, Supercare, Community and Health First pharmacies. 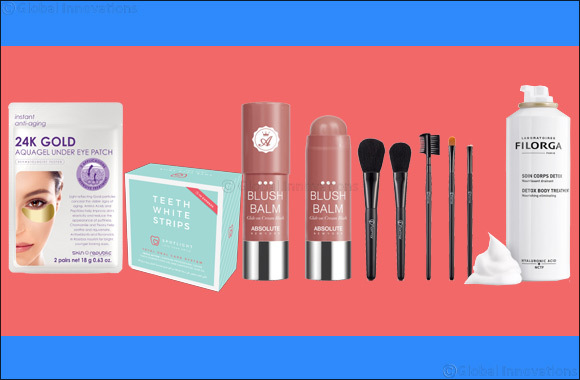 Glambeaute.com: It’s a one-stop shop for every beauty and wellness need! You’ll be spoiled for choice when it comes to gifts with the website’s large offering of make-up, skincare, bath & body, luxury fragrances and so much more. SHOW Beauty: When it comes to luxury haircare, SHOW Beauty is the way to go. The Decadence hair fragrance, and Beauty grooming balm are perfect choices for mums that love their locks! Skinade: This multi-award-winning collagen drink helps achieve luminous, healthy skin in as little as 30 days! Skinade prices start from AED 800 for a 30-day supply. Spotlight Whitening: Treat your mom to a box of Spotlight Teeth White Strips that is designed to keep teeth white for up to six months. It’s the perfect solution without the professional price tag. Skin Republic: You can’t go wrong with the gift of sheet masks for instant visible skin results! Best picks for mums from Skin Republic include the 24K Aquagel Under Eye Patch, Youthfoil, CoQ10+Caviar, Platinum Lift and the Neck +Decolletage Repair.